Imprint Energy’s printed battery technology aims to solve many of the challenges of powering IoT devices, safely, at scale. Designing things around what kind of battery is available isn’t a good fit for the next generation of always connected devices the IoT market demands, according to Steve Weiss, co-founder of Grey Heron Venture Consulting. What if, instead, the battery itself powering the device became “an enabler to new, bold, customer-satisfying designs, rather than being thought of as a hindrance.” That is how Imprint Energy founder Christine Ho envisions it, as she put it during an MIT forum in which she was honored as one of MIT Technology Review’s “Innovators Under 35.” Her Alameda, Calif.-based startup develops technology for ultrathin, flexible, printed batteries that are “a rethink of batteries that are fit for purpose,” as Weiss, who serves as a strategy and marketing advisor to the company, put it. As such, Imprint Energy’s printed battery technology aims to solve many of the challenges to powering IoT devices, safely, at scale. In powering IoT devices like these, “flexible batteries represent the final frontier to truly enabling flexible electronics,” Ho, who founded the company in 2010 based off work she conducted for her PhD at UC Berkeley, said in the 2016 MIT forum. That’s been a difficult challenge to solve because traditional battery chemistries are made of dangerous and reactive materials that are hard to house, and are prone to catastrophic failure, according to Ho’s talk. As a result, batteries have been restricted to rigid forms. But the next – or now – generation of IoT devices demands something different. Consider something like a “smart band aid” – a wearable that would actively monitor patients and deliver medication. It needs to be flexible, safe and always connected – even if it is punctured. The batteries developed by Imprint Energy are based on zinc, rather than lithium. It’s Imprint’s proprietary ZincPoly technology that enables high-energy, safe, stable, solid-state, flexible batteries, according to the company’s website. As a result, “it avoids the safety issues that have plagued many lithium technologies, and added to their costs,” according to the company’s website. What’s more, the technology can be made with widely available, well-understood and highly scalable print manufacturing tools, according to Weiss. As such, the company is looking to contract manufacturers to license the technology, and make the battery as part of an integrated system. In such a way, electronic manufacturing services firms and contract manufacturers can make batteries via a ‘mass print’ approach, rather than assembling them one at a time, and “directly integrate Imprint batteries with sensors, chips and antennas, further reducing total device costs,” according to the press release. This will be increasingly important for contract manufacturers that want to be seen as design partners for the brands they’re working with, Weiss said, helping to not only produce but also aid in the design of the next generation devices for major brands. A battery that is highly customizable in terms of shape, size and capacity is an advantage in design, Weiss said, especially in a space in which currently a battery can exceed 30 percent of the volume of the device. “That’s an interesting, differentiating advantage,” Weiss said. Imprint Energy said multiple manufacturing partners have successfully printed Imprint batteries using their existing standard printing equipment, and that Imprint batteries are moving into field trials of IoT products. Imprint’s manufacturing process technology has been demonstrated on low-, medium- and high-volume printers, including common surface-mount technology lines and, as trials have demonstrated, roll-to-roll screen printers, according to a press release. The company recently announced it completed a $5 million investment round in its move toward commercialization, with investors including Imprint’s technology partner Semtech, the u.life fund, which is managed by Global Value Investment Portfolio Management, and previous investors including Phoenix Venture Partners. The first projects are going into market pilots, moving into the field, and hitting real world environments, according to Weiss. Semtech and its partners are early customers of Imprint batteries, according to the press release. That includes batteries designed to power IoT devices that communicate using Semtech’s LoRa devices and wireless radio frequency technology for low-power wireless networks. Imprint’s batteries are also powering devices that work with Bluetooth and other protocols, according to Weiss. 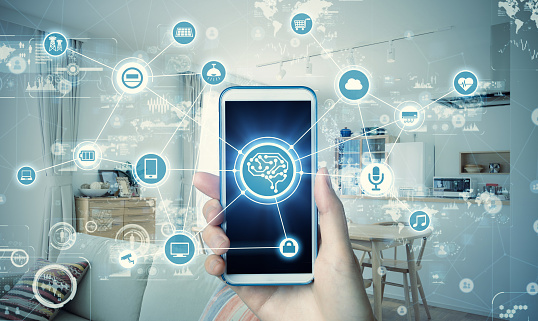 “If you’re going to have a world that can really have these distributed IoT devices, you need to have something thought-through and well-matched to these emerging applications,” Weiss said. News Briefs: Plus, London named smartest city, CRN’s ranking of top 10 IoT startups of 2018; and more news.